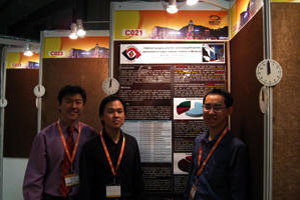 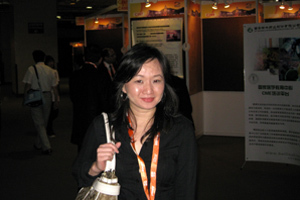 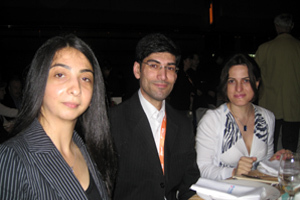 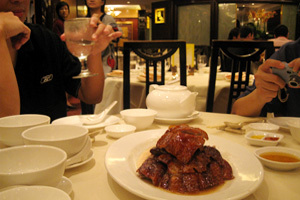 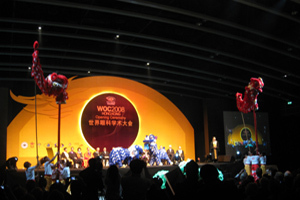 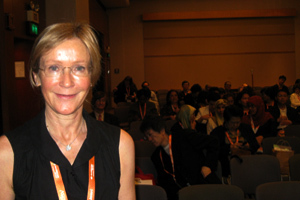 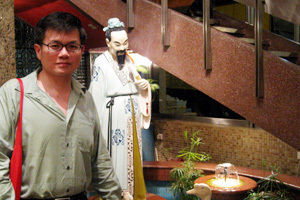 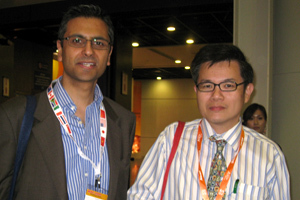 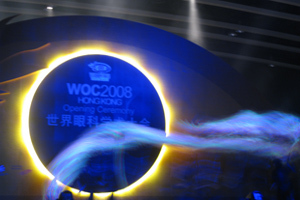 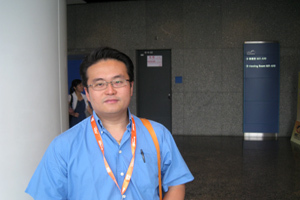 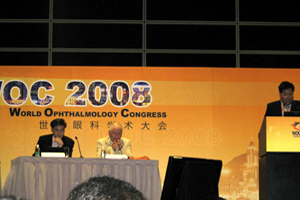 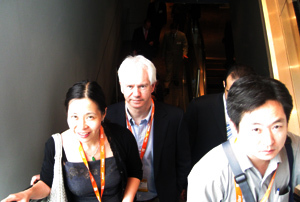 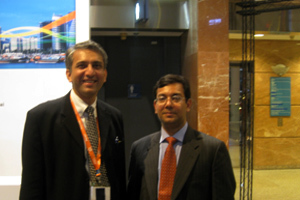 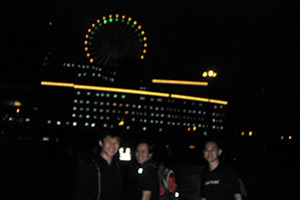 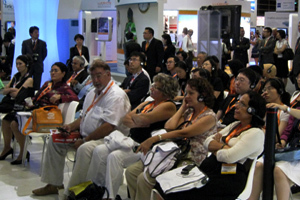 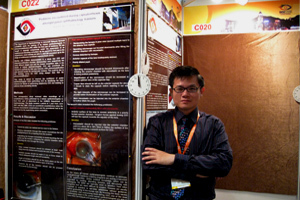 The 31st World Ophthalmology Congress is held in Hong Kong from 28/6 to 2/7/2008. 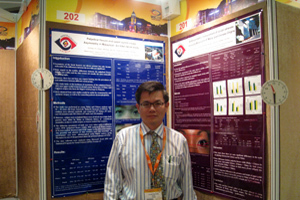 The UNIMAS team will attend the event with 12 posters from the Ophthalmology Department of the Universiti Malaysia Sarawak. 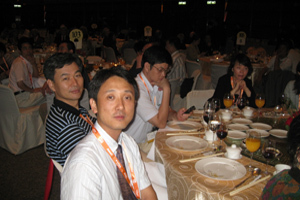 Watch this page for photos from the event, you may even spot some familiar faces. 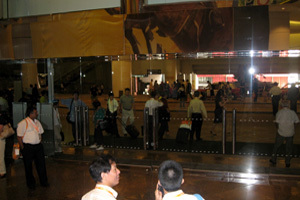 Arriving at Macau Airport after 3½ hours direct flight from Kuching. 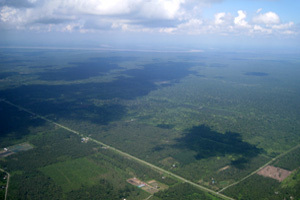 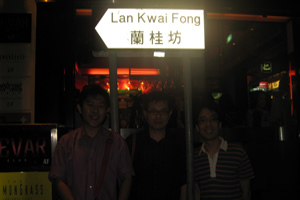 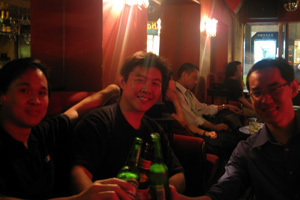 From the left: Dr. Yew, Dr. Law and Dr. Koay. 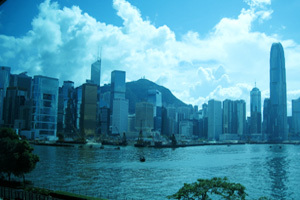 Ferry from Macau to Hong Kong. 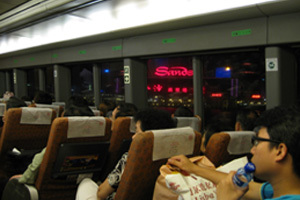 A ride of 1 hour. 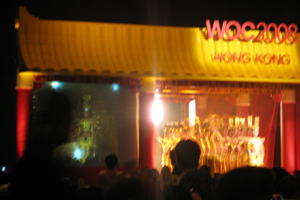 Casinos strow the harbour. 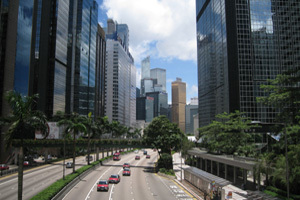 Arriving in Hong Kong. 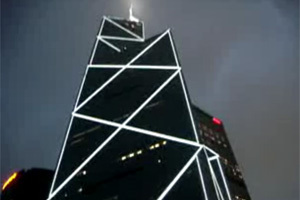 China Bank at night from the taxis. 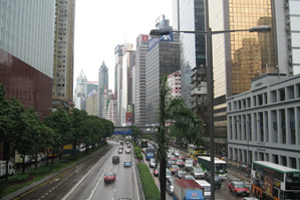 Rainy Friday am in Hong Kong on the way to the Convention centre. 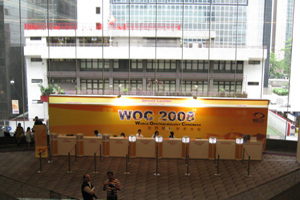 Registration open at 1200hr 27/06/08. 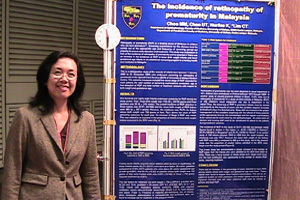 UNIMAS poster on success in capsulorrhexis. 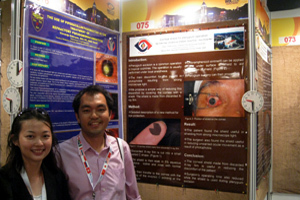 UNIMAS poster on endophthalmitis prophylaxis in Malaysia. 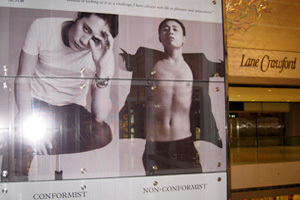 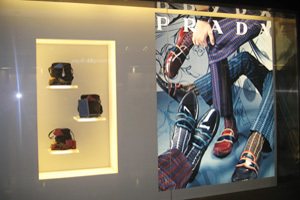 Choosing between Maxfield 100D and Maxfield 120D. 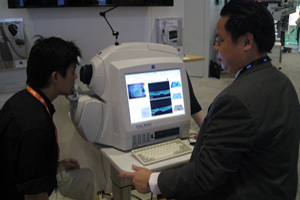 Training the trainer for strabismus. 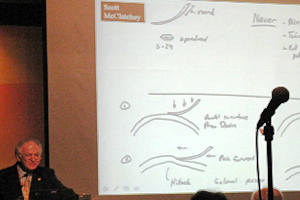 Training the trainer for corneal surgery. 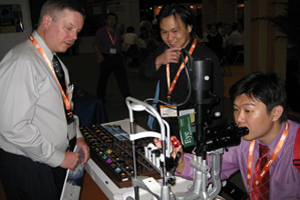 Training the trainer for phacoemulsification. 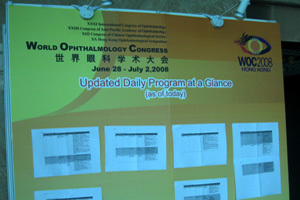 Ophthalmology teaching in Medical School. 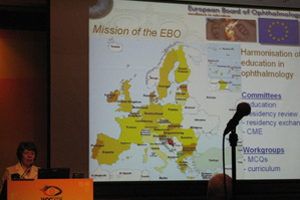 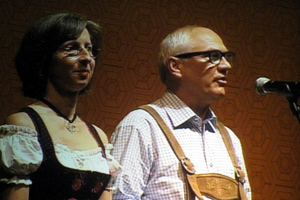 2 professors in German costumes announcing WOC in Berlin in 2010. 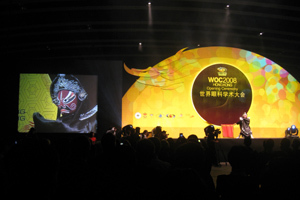 Performance at the opening ceremony. 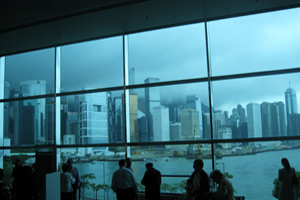 Harbour view from the escalator. 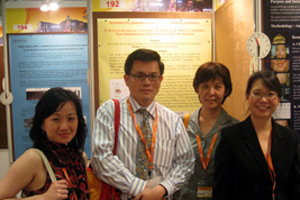 With Dr. Wang and wife from Singapore (left) and Dr. Lee from Taiwan. 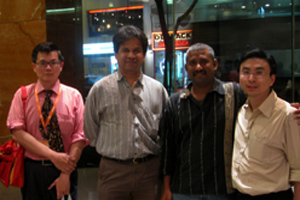 With old colleague. 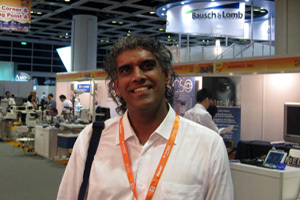 Dr. Mandeep Sagoo. 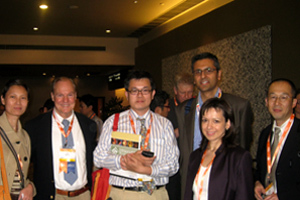 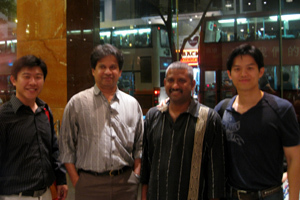 With Dr. Jerry Shields (2nd from left), Mandeep and Julien. 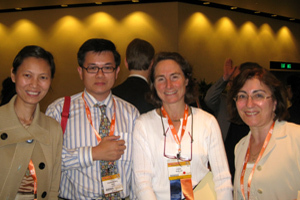 With Dr. Carol Shields (2nd from right). 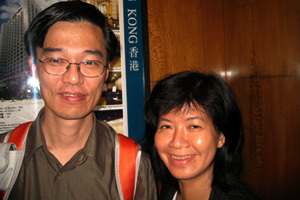 Vikki and her male friend. 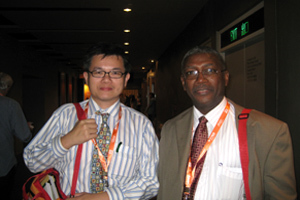 With Mr. Amakou from Nottingham. 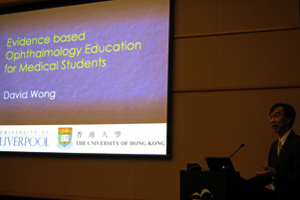 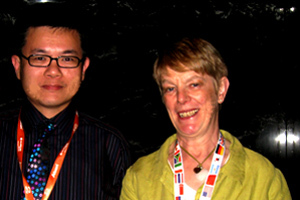 Dr. Christina Lee and Dr. Jason Ngo. 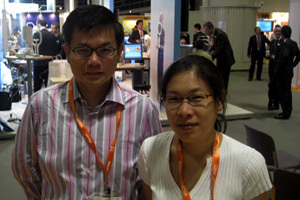 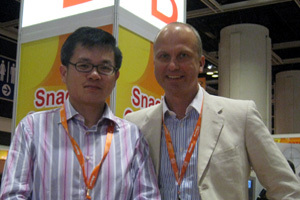 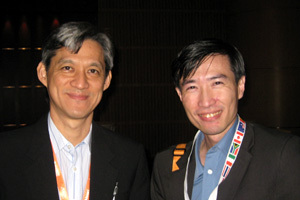 Dr. Lim Toh Han (left) from TTSH and Dr. Lim from SNEC. 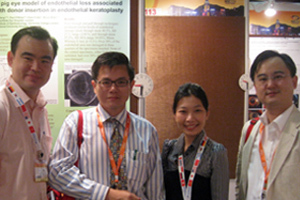 Colleague from Nuffield Laboratory, Oxford Eye Hospital. 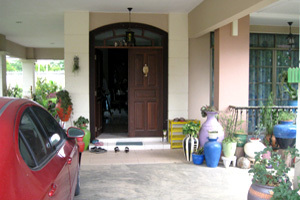 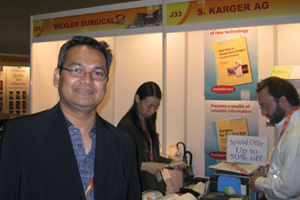 Dr Vasantha Kumar from Kuantan, Pahang. 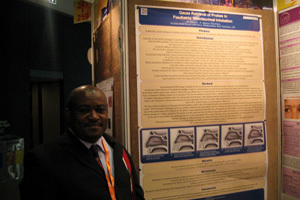 Dr. Oworu from Maidstone, Kent. 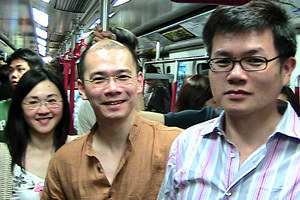 Chance meeting with Dr. Yang in the MRT. 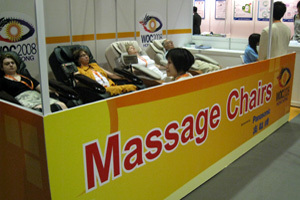 Massage chairs for worn out ophthalmologists. 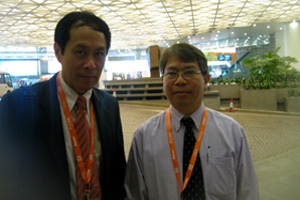 Prof Lai from Penang and Dr. Por from Singapore. 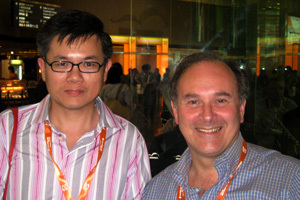 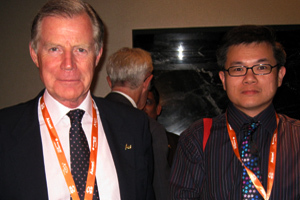 With Mr. Rosen from Oxford Eye Hospital. 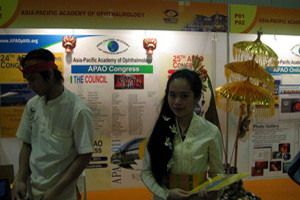 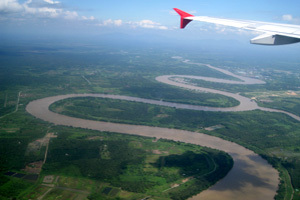 Make a date with APAO in Bali. 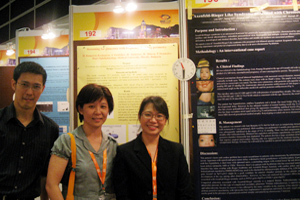 Dr. Tan and Dr. Lee from Penang. 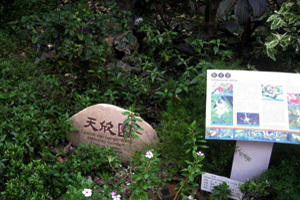 Herb Garden in the Museum of the Medical Sciences. 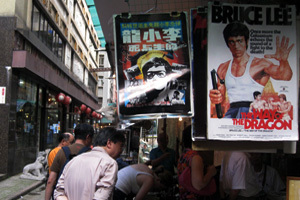 Antique hunting in Hollywood Road. 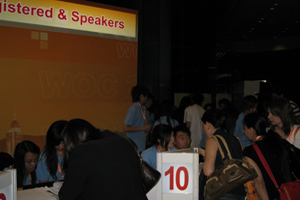 Last day of the WOC (02/07/2008). 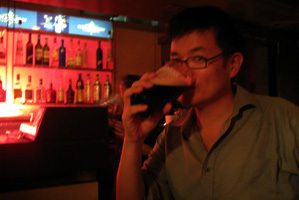 Trying out some new technology. 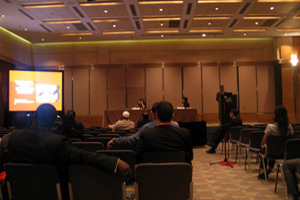 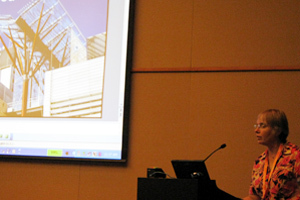 Presentation at the oculoplastic seminar. 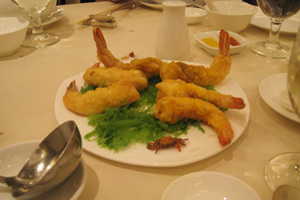 and the smallest cooked crab in town. 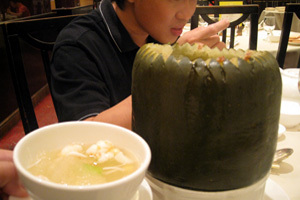 Winter melon soup with scallops. 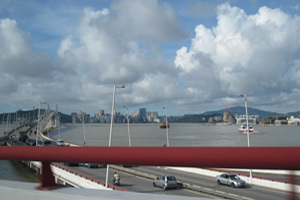 Arriving at Macau on the return journey (03/07/2008). 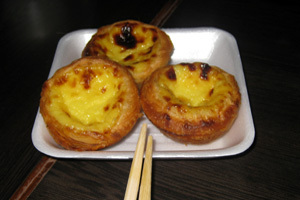 Famous Portuguese egg tarts for breakfast in Macau airport. 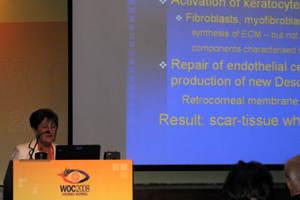 Royal College of ophthalmologist, Miss Brenda Billington, Jerry Shields, Carol Shields, Jane Olver, Angela Loo.